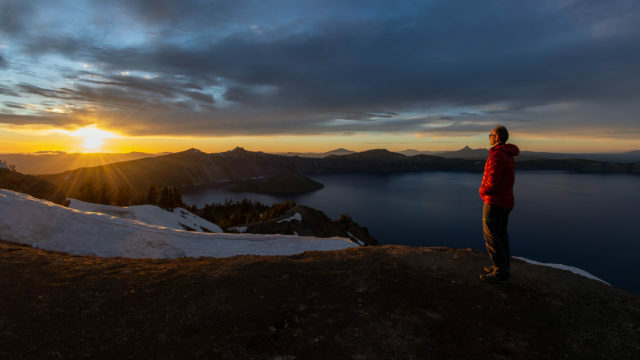 The winter season is here in full-swing, so it’s time to put together a legendary skiing road trip across the Pacific Northwest, which is exactly what we did. Whether you’re a natural on the slopes, bright-eyed and bushy-tailed, or you just really love road trips, we’ve got something on the list for you. 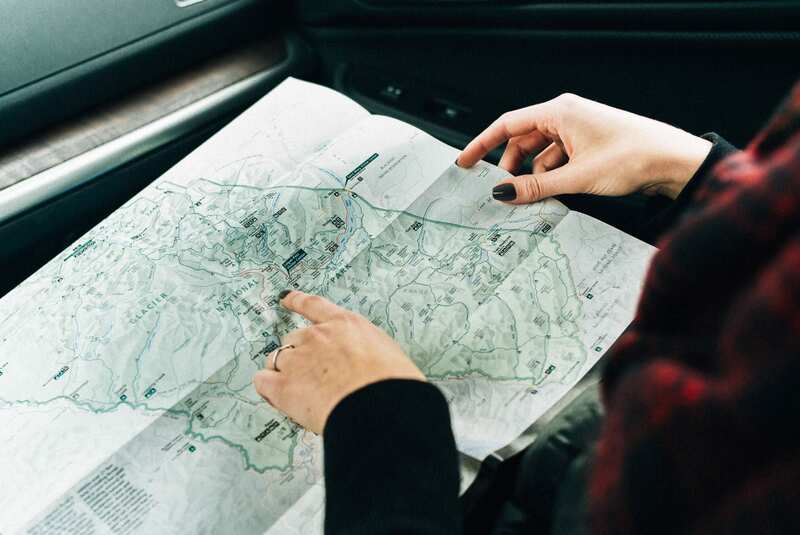 The duration of your stay in each area is up to you and each leg of the trip is sure to be a blast, especially if you have a couple of your best buds or your family along for the ride. Check out the places you’ll be going! 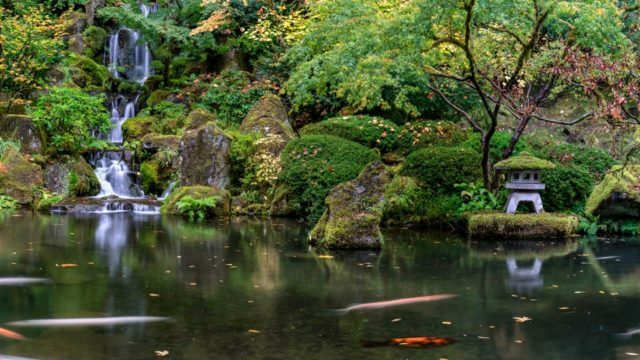 Start your journey off by immediately heading south from Portland to the border of Oregon and California to the city of Ashland, Oregon. Nearby, on the slopes of Mount Ashland, you’ll find the Mt. Ashland Ski Area. With over 20 ski runs, an open bowl, plus a great beginner area, you’re guaranteed to have a great time. At the very least, you’re guaranteed to have plenty of snow, as this ski area gets 265 inches of average snowfall. 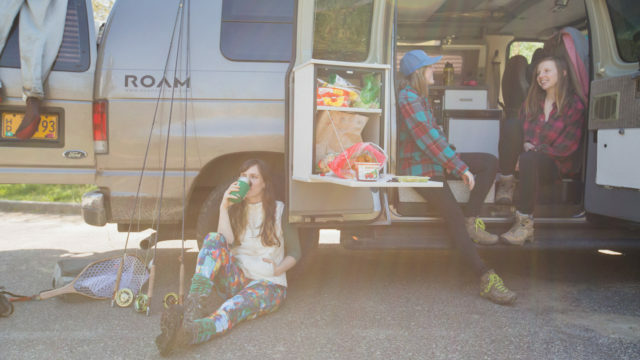 Where to stay in your ROAMERICA van rental: Klamath National Forest is a great place to camp off the grid. Situated on the summit of Oregon’s Santiam Pass, the Hoodoo Ski Area is in a prime location for those seeking wintertime escapades in the center of the state. Here, you will find 5 lifts, 34 runs, and 450 inches of average snowfall. If you need a break from skiing (blasphemy, I know) then be sure to check out the Autobahn Tubing Park, which is one of the biggest in the West. Having been around for more than 80 years, Hoodoo knows how to provide a good time for its guests! Great place to take the family too! Time to next destination: 2 hours 30 minutes. Where to stay in your ROAMERICA van rental: Hoodoo itself has spots for overnight parking (no hookups are required with a ROAMERICA camper van!). This would be the recommended option since you’d be so close to the park and all the powdery action. Timberline has the coveted position of being the only ski area in North America to be open year-round, which basically means more fun on the slopes for everyone, all the time! The Ski Area boasts more than 1,400 acres of skiable terrain and 41 runs. The lodge itself is a U.S. National Historic Landmark and received much stardom for its role in the 1980’s Stanley Kubrick classic, The Shining. Don’t worry, though, cabin fever won’t be an issue as Timberline receives more than 2 million visitors a year and even has their very own resident St. Bernard pups, Heidi and Bruno. Time to next destination: 3 hours 50 minutes. Where to stay in your ROAMERICA van rental: The Mt. Hood Village RV Resort is less than 30 minutes away from the slopes and boasts some great options for self-contained camper vans, just ask for a tent site! 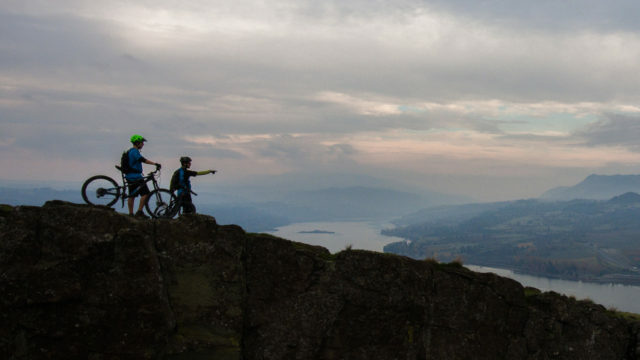 Let us help you plan your Pacific Northwest adventure! Leaving the Mt. Hood, Oregon area will bring us to our first stop in Washington and great views of Mt. Rainier. 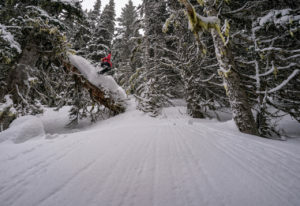 White Pass offers more than 40 runs for beginners, intermediate, and advanced. There is night skiing available, but only for a short time after Christmas every night and then only on Saturdays until March 2. You’ll find six lifts to get you up the bigger slopes and a surface lift and magic carpet for the smaller ones. You can also visit their Nordic Center for other fun activities like cross-country skiing, skate skiing, and snowshoeing. Have young kiddos, White Pass even has child care! Where to stay in your ROAMERICA van rental: For some dispersed camping, you’ll be in the Mt. Rainier National Park! Just two hours away from Seattle, Crystal Mountain is the largest ski resort in Washington. 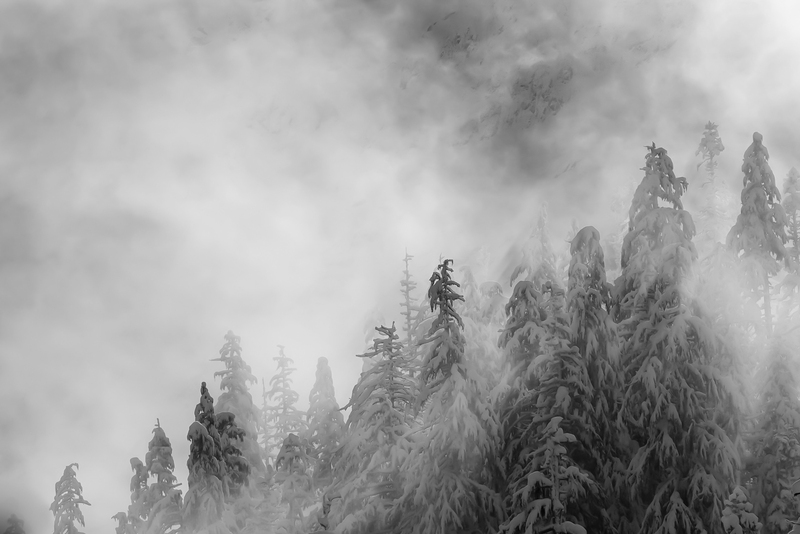 This ski resort based in the Cascade Mountains has more than 50 runs and a whopping 2,600 acres of terrain. The average snowfall here is close to 500 inches (486) per year, which means plenty of powder to spray in your friends’ goggles. 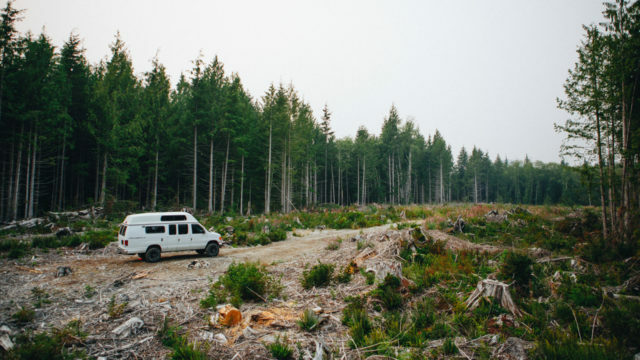 Where to stay in your ROAMERICA van rental: Crystal Mountain has spots for camper vans to park, but reservations during the holidays can fill up fast. Still, if you can snag a spot then this would be the closest option to maximize your fun-filled experience. By heading to the Summit at Snoqualmie (and Alpental) you’ve edged even closer to Seattle, as the metropolitan area is only 50 miles away from this ski area. The Summit has 25 ski lifts in four unique areas. There are runs for all types, including beginner, intermediate, advanced, and even expert. Since this ski area is so vast, varied, and close to Seattle, it is very popular. Time to next destination (Portland): 3 hours 15 minutes. Where to stay in your ROAMERICA van rental: The Summit has spots for overnight parking, but you can only stay for three nights per week. Weather Proof Your Vacation and book a van today!